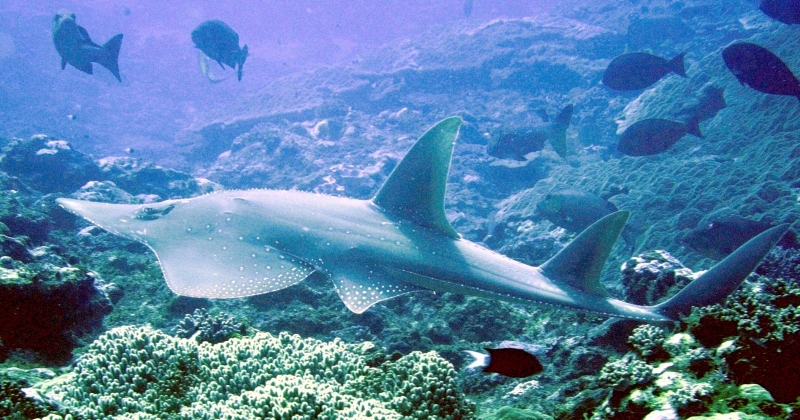 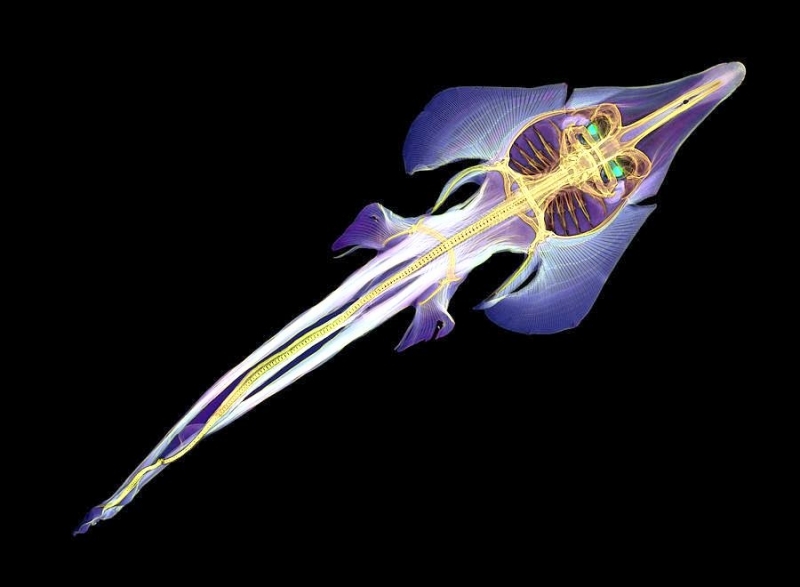 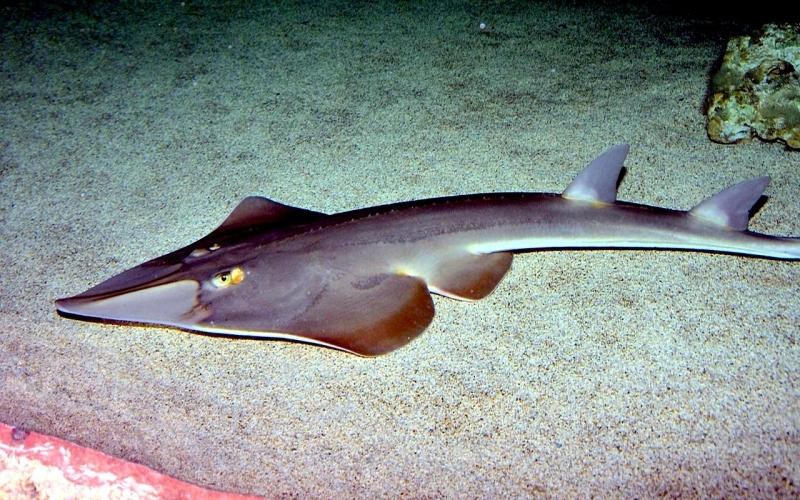 The Shovelnose Ray was first misidentified as a shark due to its dorsal fin shape, it was changed to a ray upon further research. 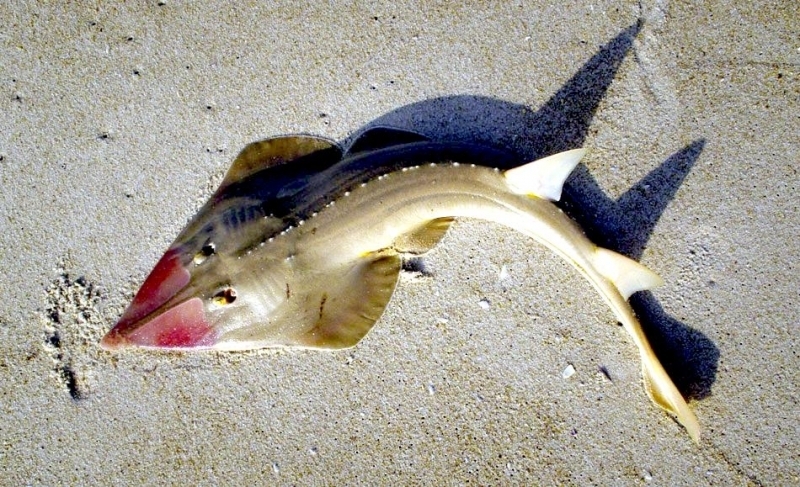 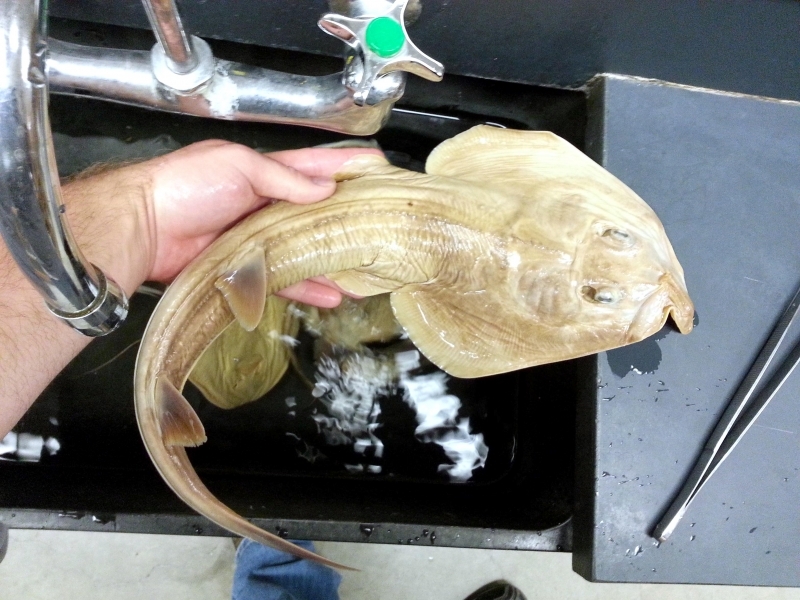 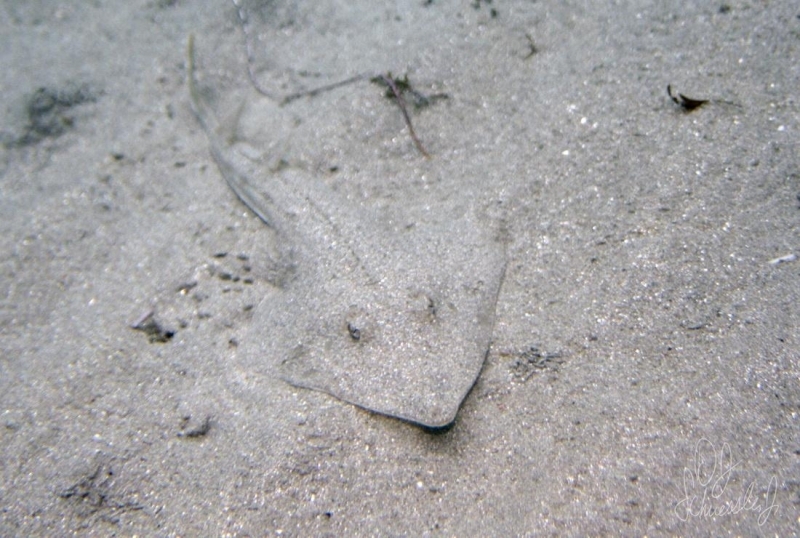 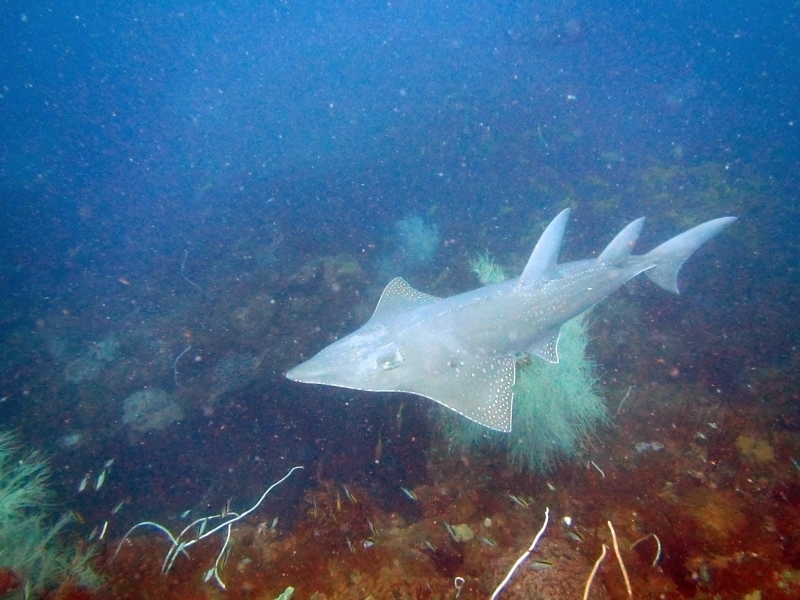 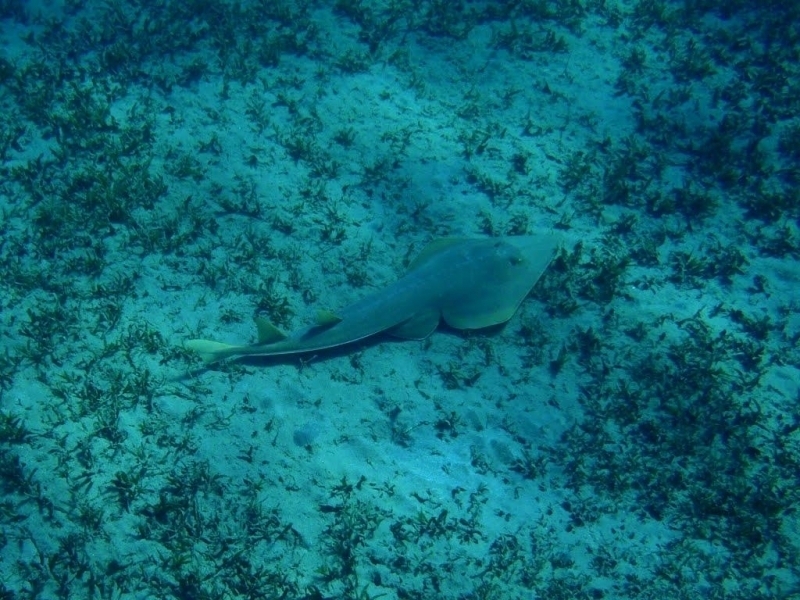 Both genders of Shovelnose Ray prefer to feed on a large number of bottom dwelling invertebrates, from worms and small fish to mollusks and crustaceans. 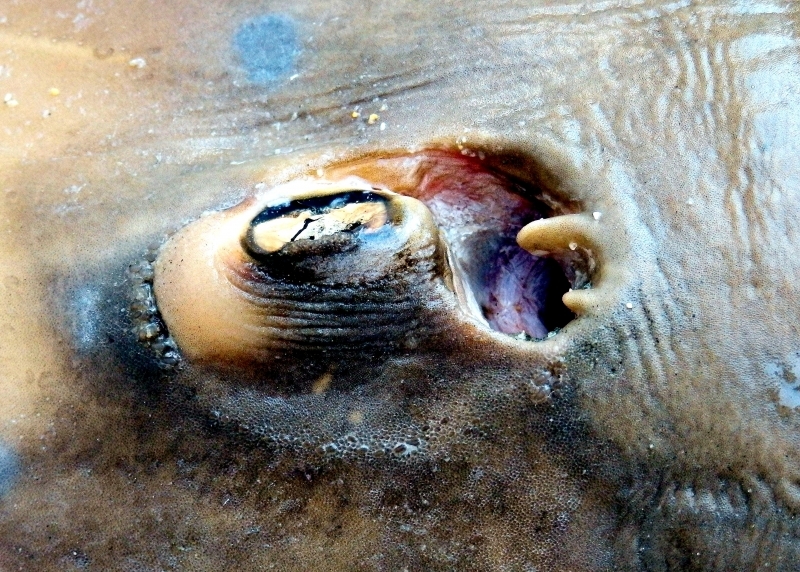 To consume clam shells, they will crush them with their jaws, then spit out the lot and pick the soft clam meat. 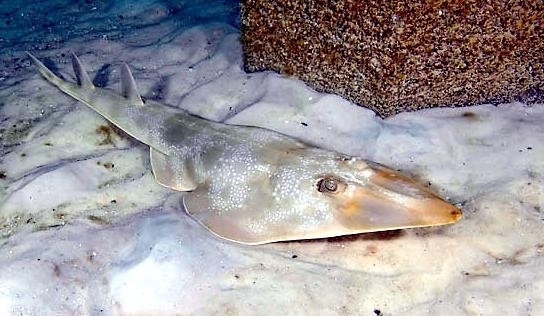 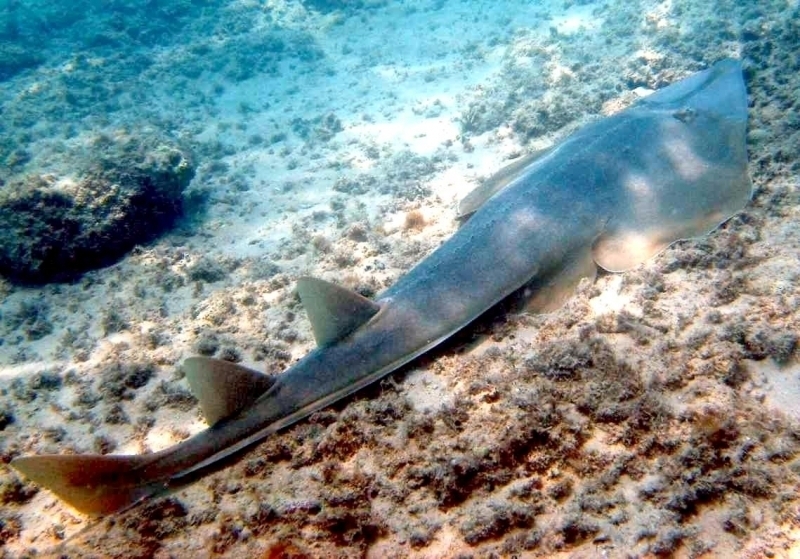 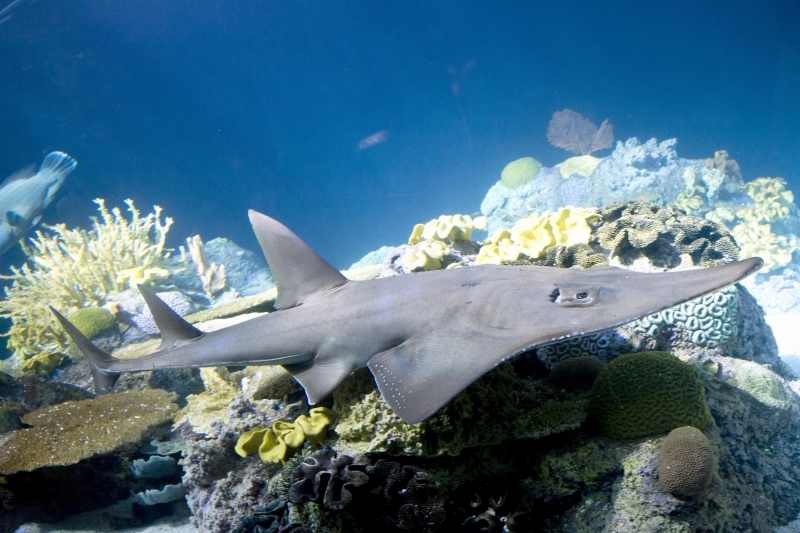 Without the shark classification, the Shovelnose Ray remains a gentle animal of the oceans producing 1-10 pups every year and enjoying a life span up to 11 years. 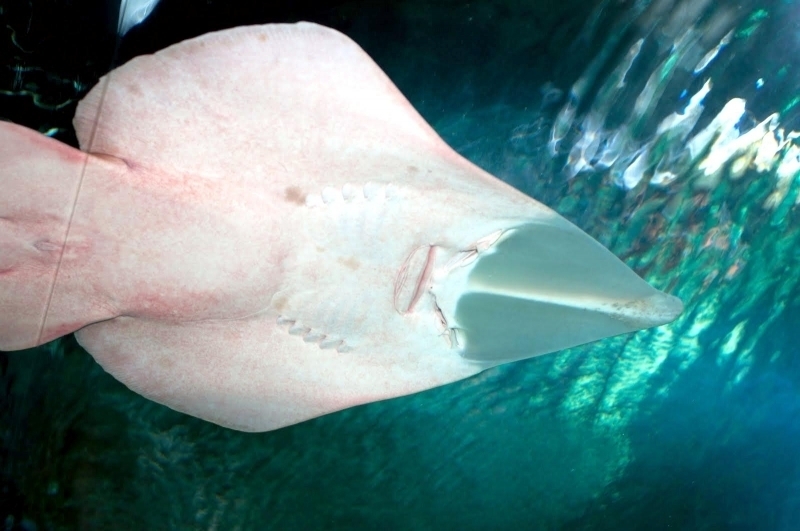 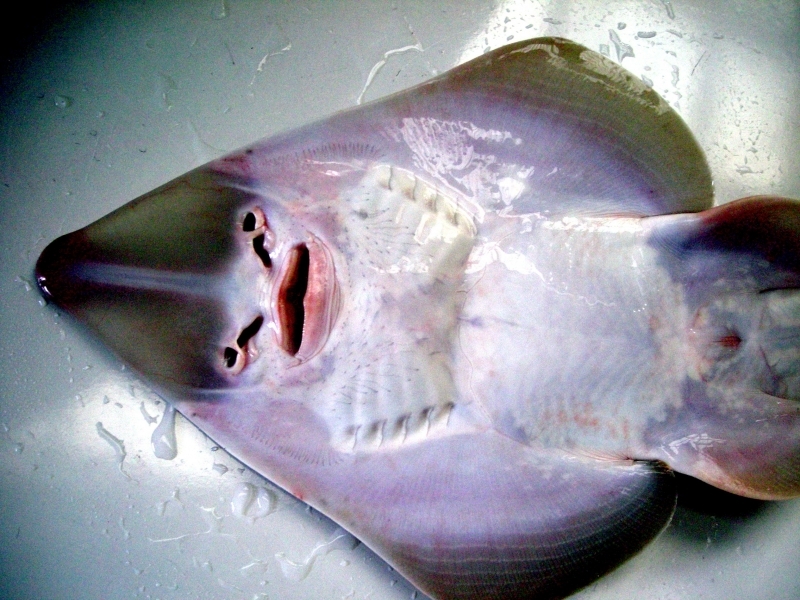 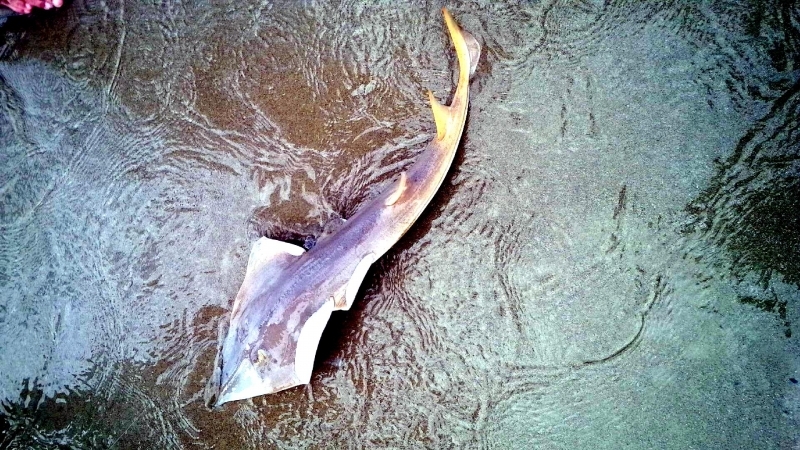 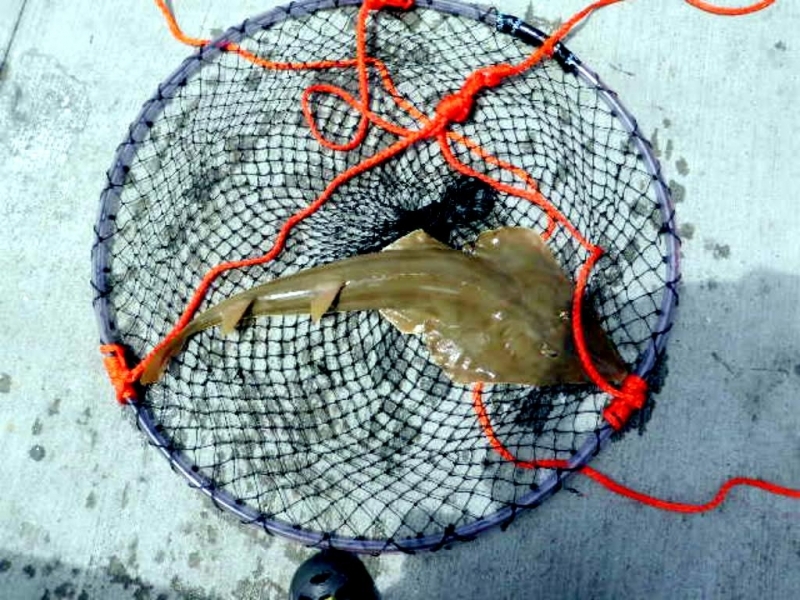 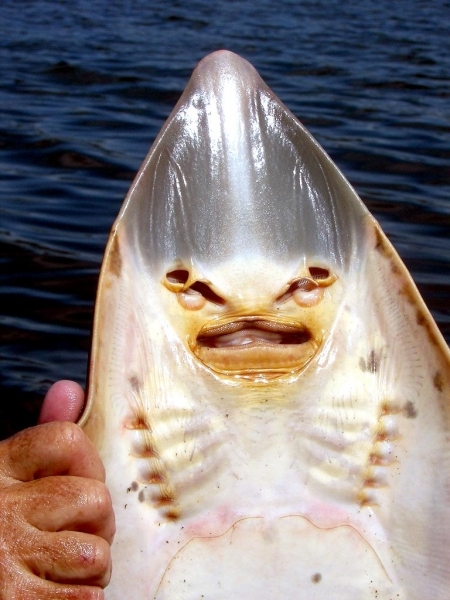 The Shovelnose Ray is a size between a shark and a ray. 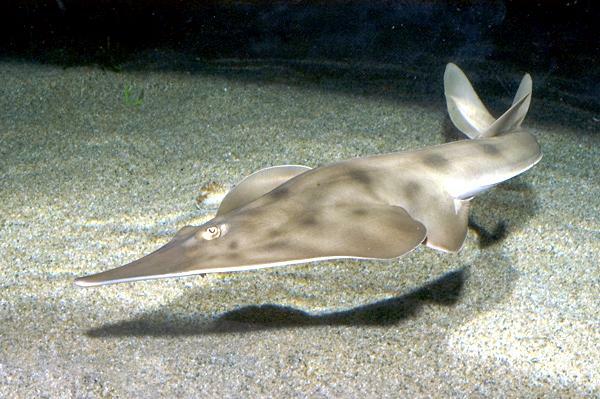 It has an unusual shape to its body with a long shovel shaped nose with a large disc on the end. 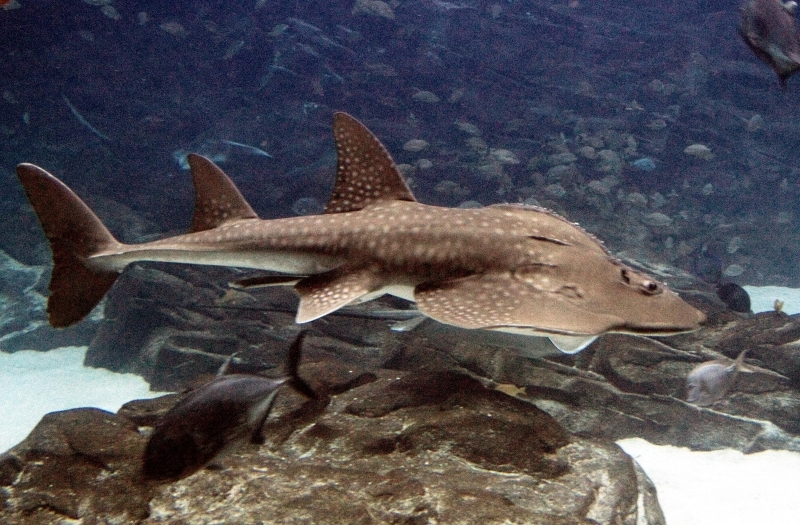 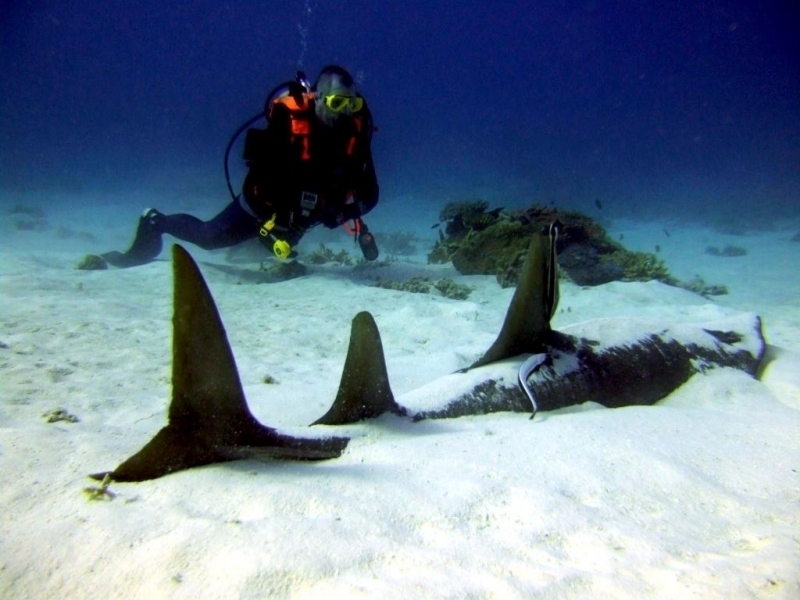 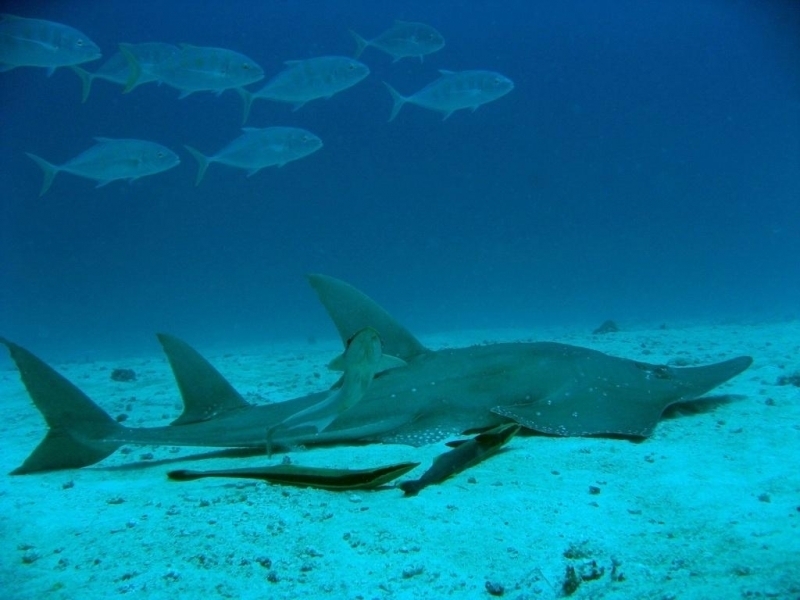 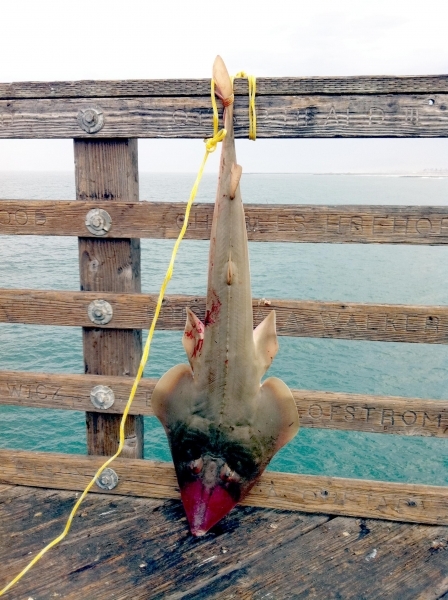 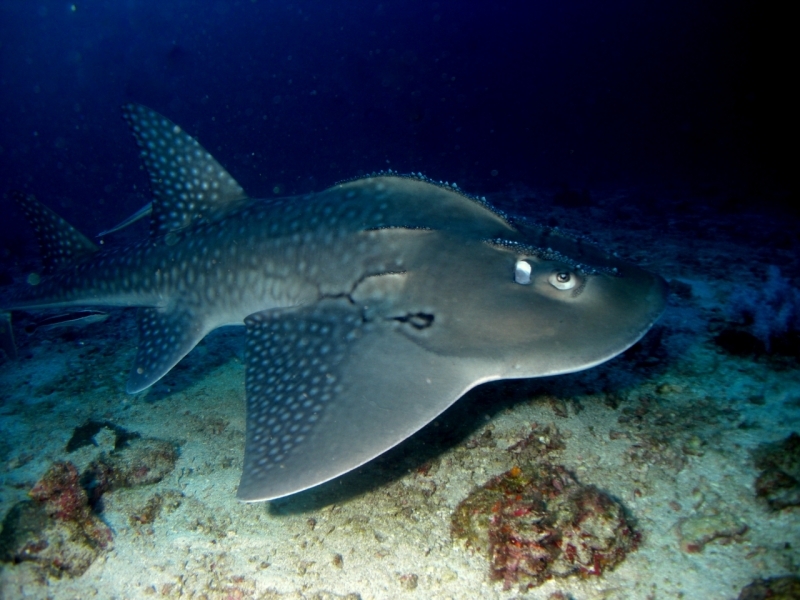 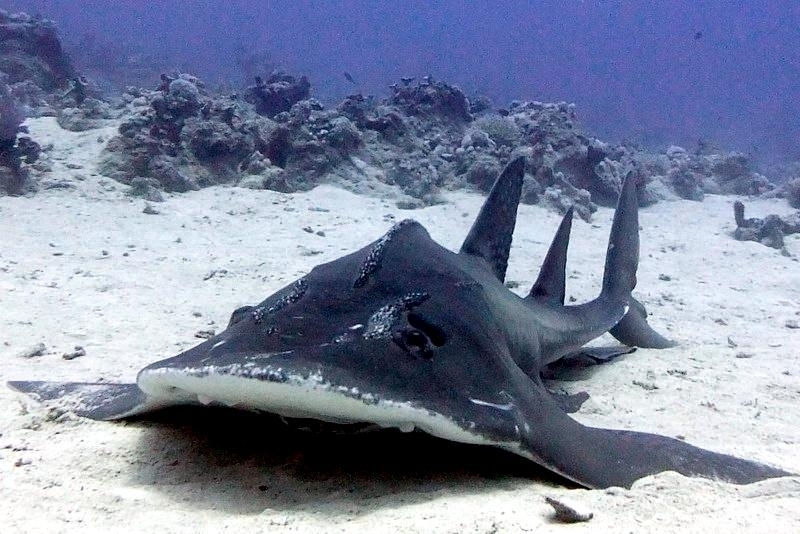 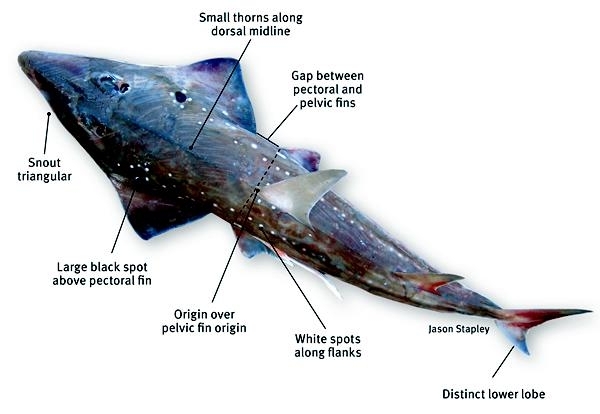 It has two circular pectoral fins that look triangular and a thick tail with two dorsal fins at its base. 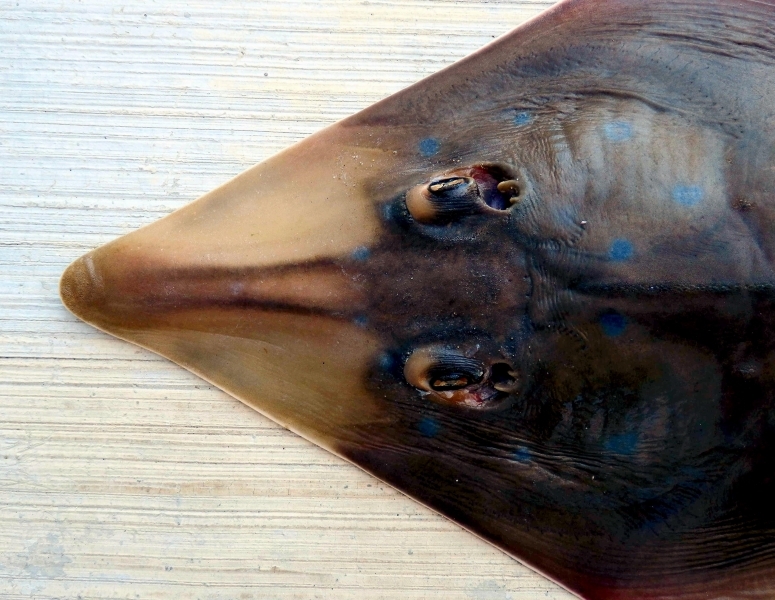 The back is ridged with spiky points that go from the middle of the back to the base of the tail. 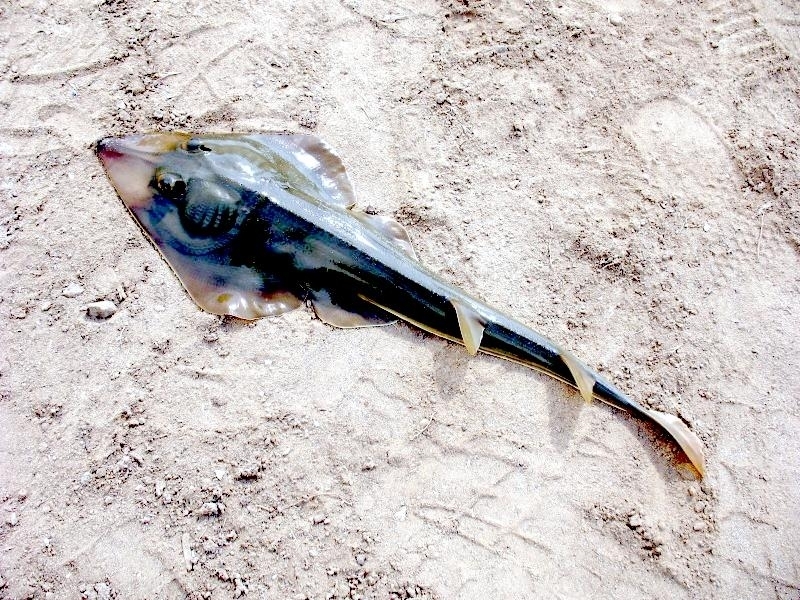 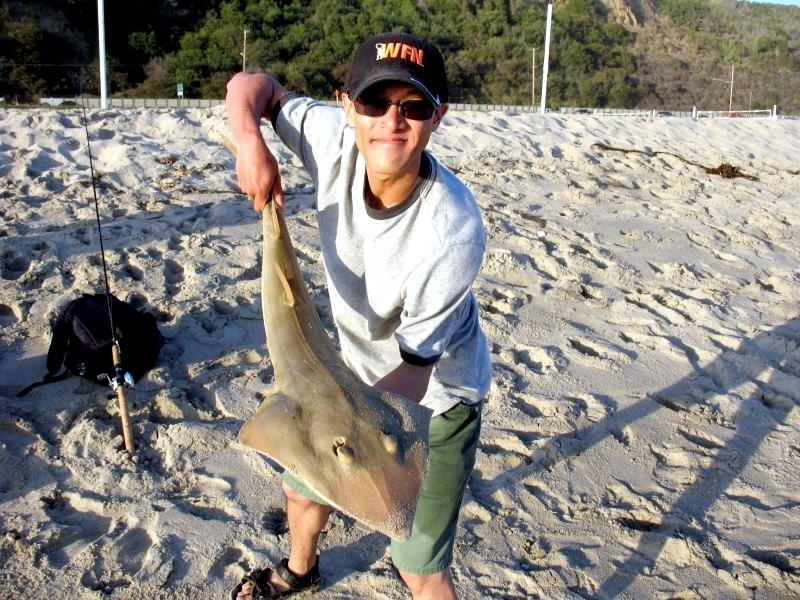 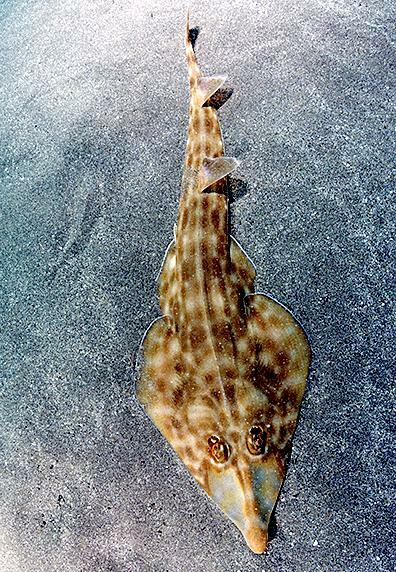 The Shovelnose Ray seems to be dressed for the desert, with either an olive khaki color or a drab brown. 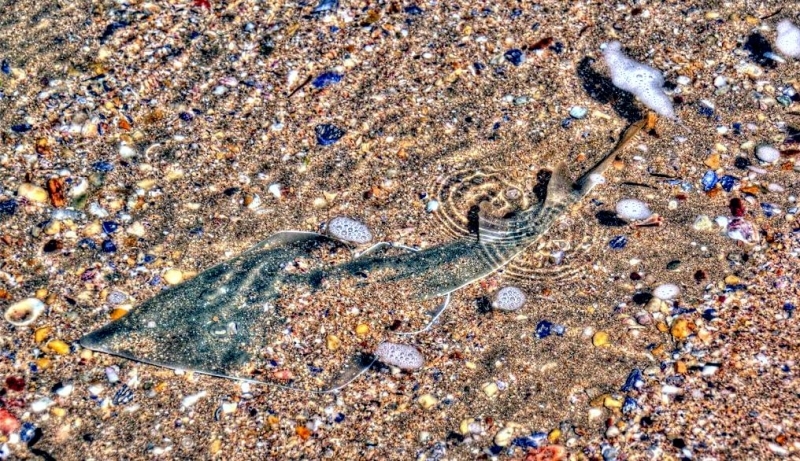 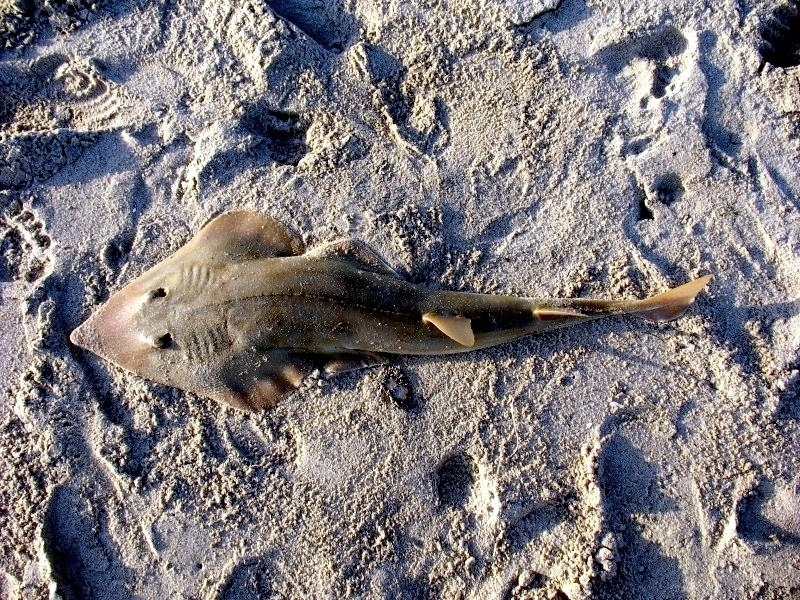 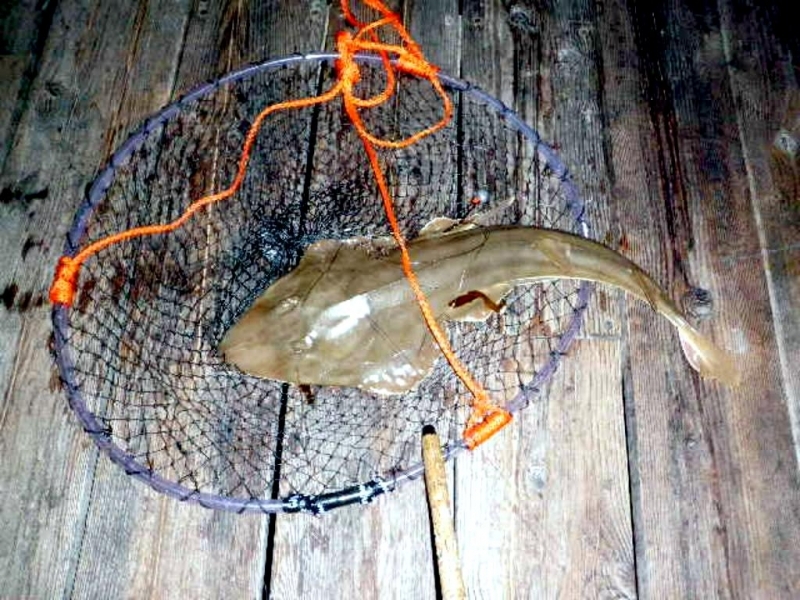 The Shovelnose Ray blends well into its favored habitat of sandy waters of estuaries, bays or the muddy waters of sloughs. 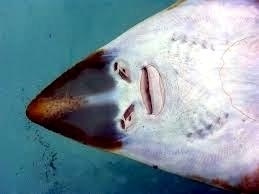 It can be found in waters as deep as 91.5 meters, but prefers shallows of 12 meters. 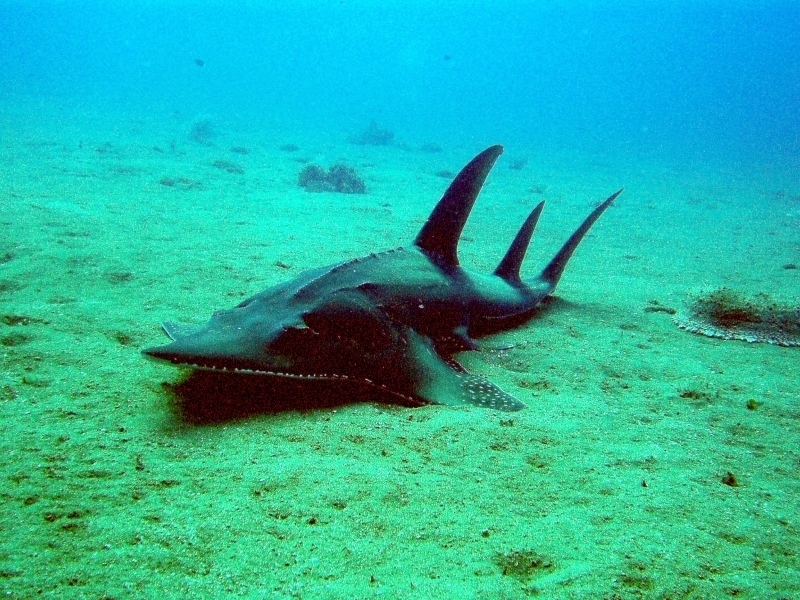 The male is smaller than the female, only reaching 114 centimeters upon maturity while the female has been recorded at 156 centimeters. 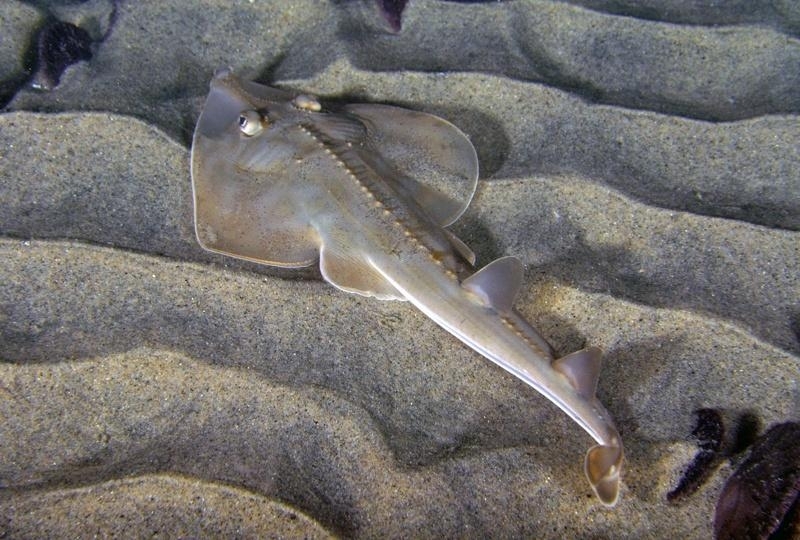 The female also reaches adulthood earlier than the male, able to reproduce at years old, while the male is considered adult at 8 years old. 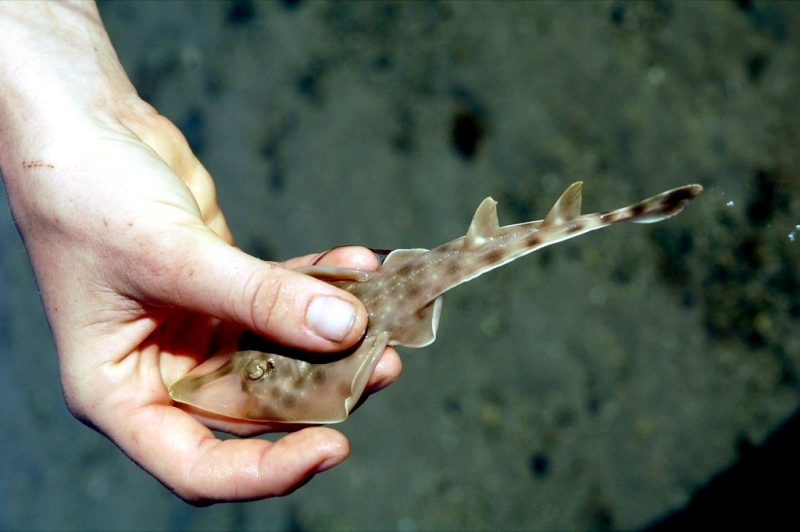 They can live up to 16 years, although 11 is the norm. 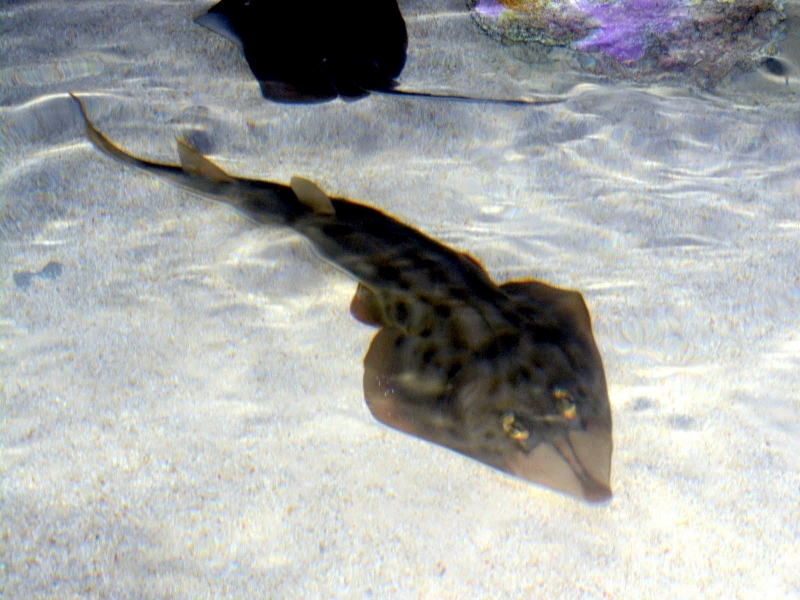 The female Shovelnose Ray moves to shallow waters from June throughout October, joined by the males to mate during the summer months. 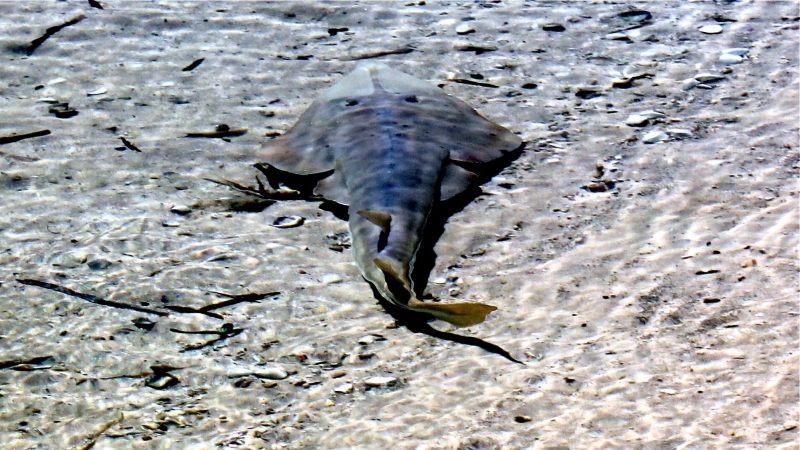 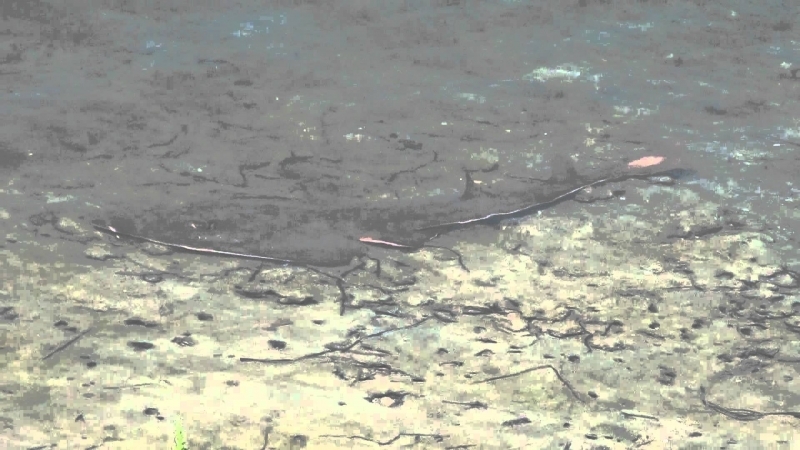 Post mating, they will leave the shallows singly. 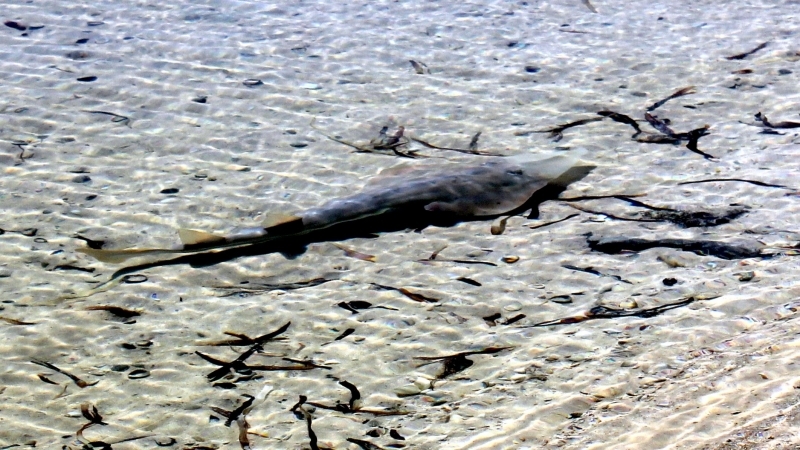 The female will then congregate back in the shallows in large numbers to have their litters. 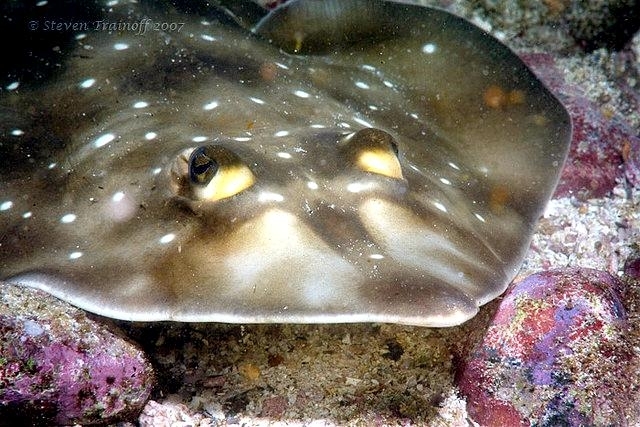 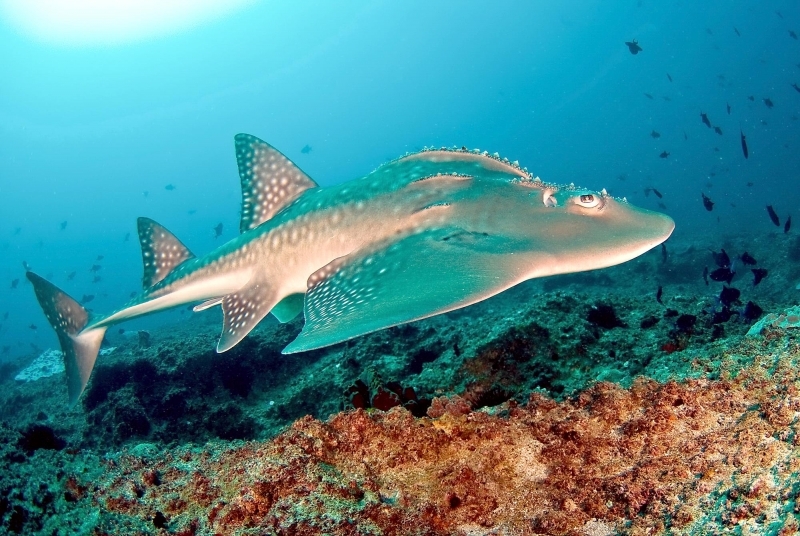 Most species of female Shovelnose Ray will have one litter a year, gestating for 11 to 12 months; some species that live close to the Mexican coast will continuously reproduce, gestating only 4 to 5 months. 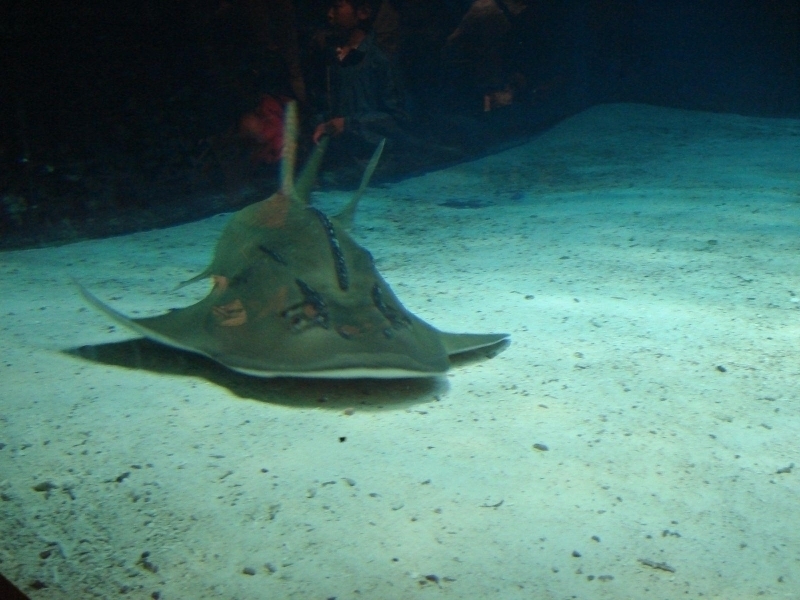 These pregnant females are suspected to have both uterine capsules and large ripe ova simultaneously, enabling a constant state of reproduction. 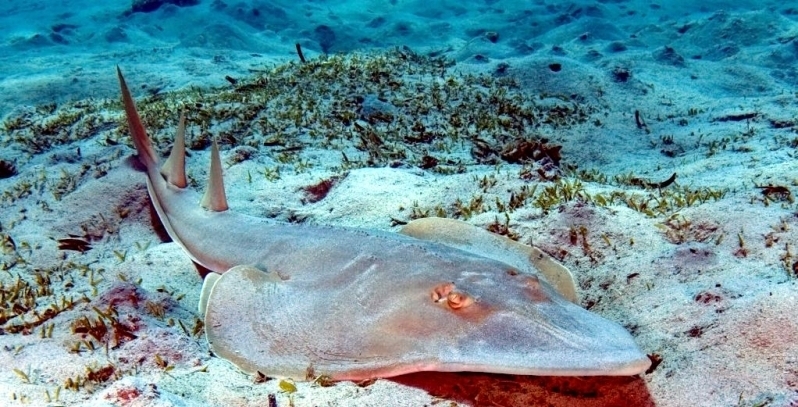 There is an oft-repeated tale that the only time a Shovelnose Ray ever attacked a human was when a diver interrupted a male during mating. 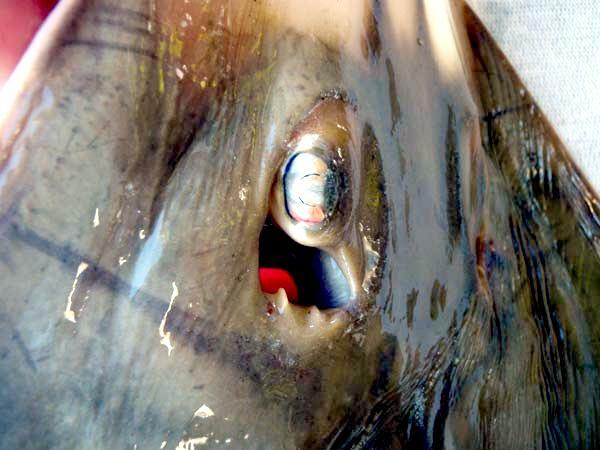 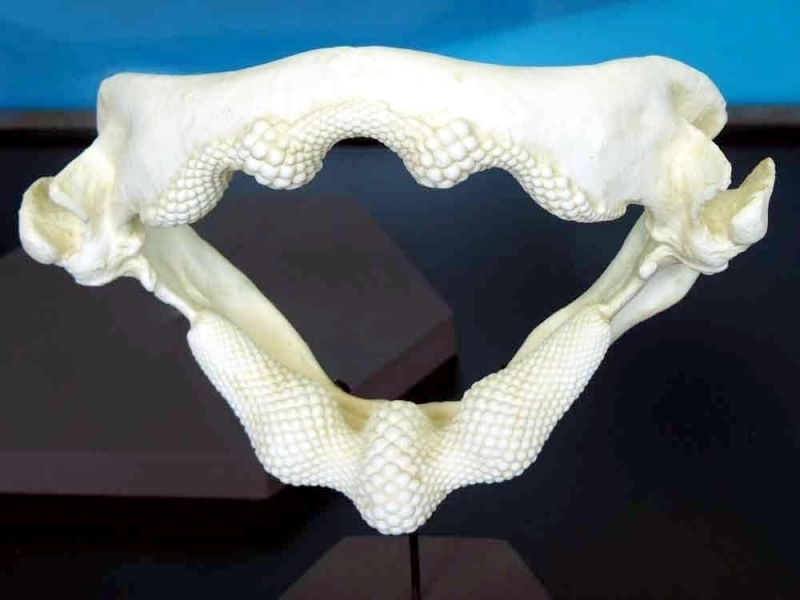 Due to the tooth placement in the Shovelnose Ray jaw, it resulted in more of a “gumming” than a bite. 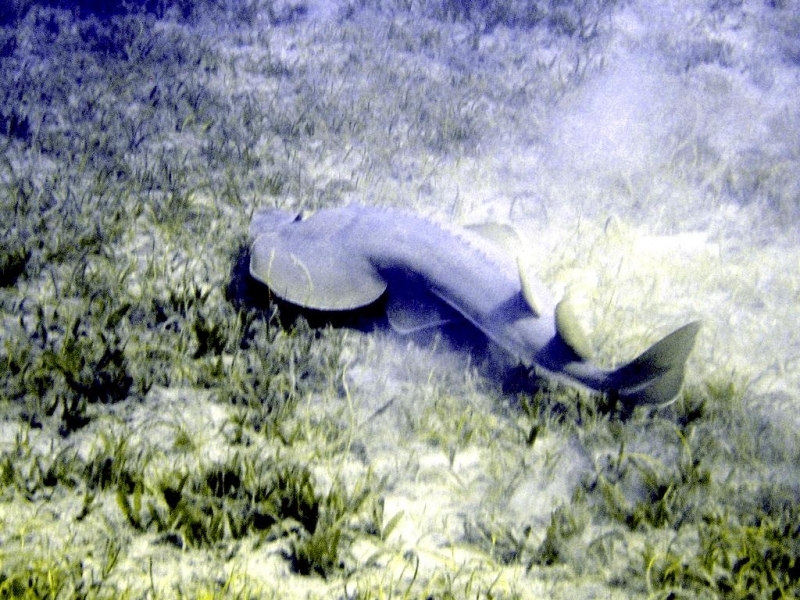 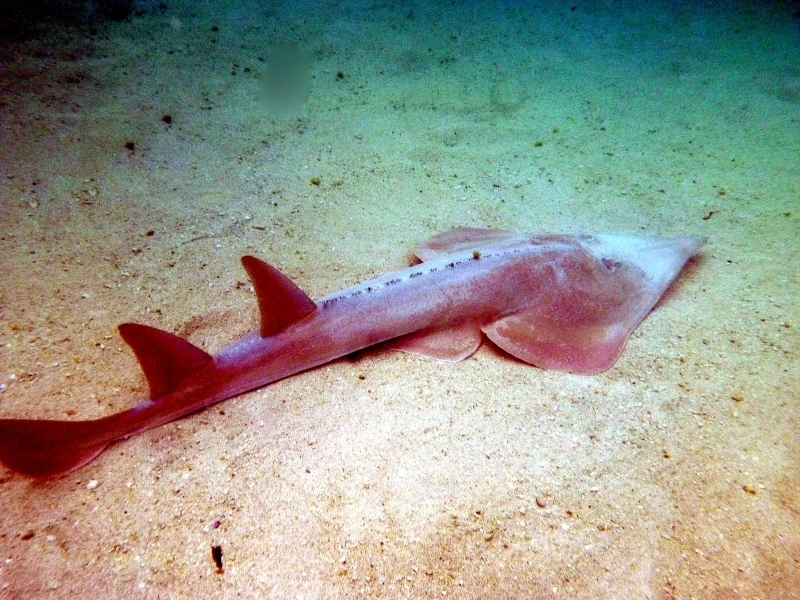 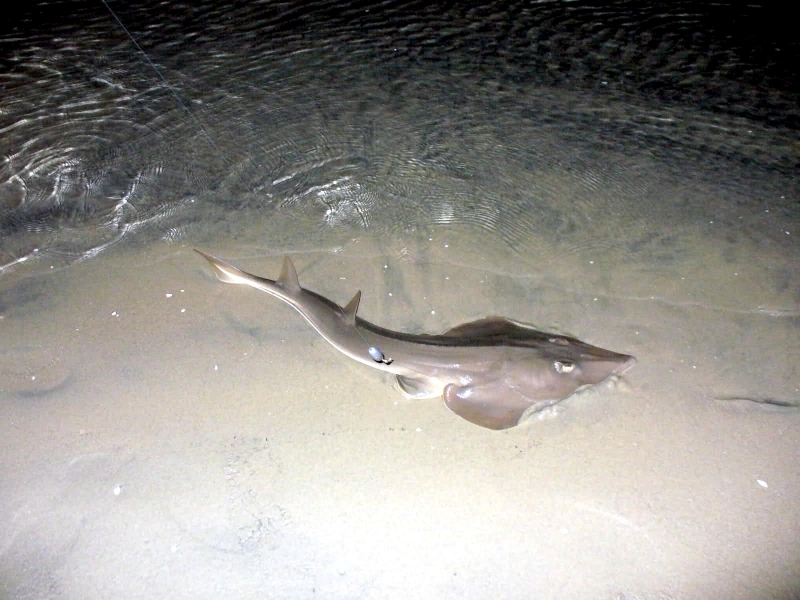 Both genders of Shovelnose Ray prefer to feed on a large number of bottom dwelling invertebrates, from worms and small fish to mollusks and crustaceans. 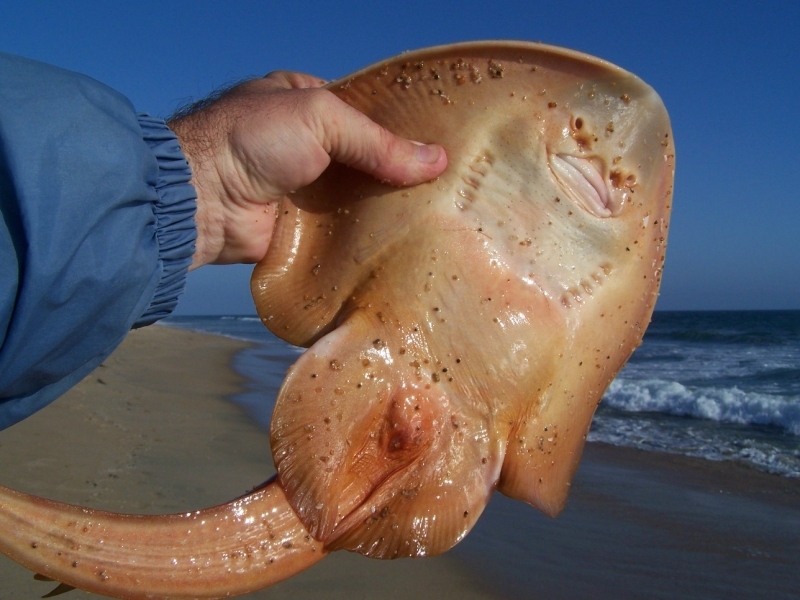 To consume clam shells, the Shovelnose Ray will crush them with their jaws, then spit out the lot and pick the soft clam meat. 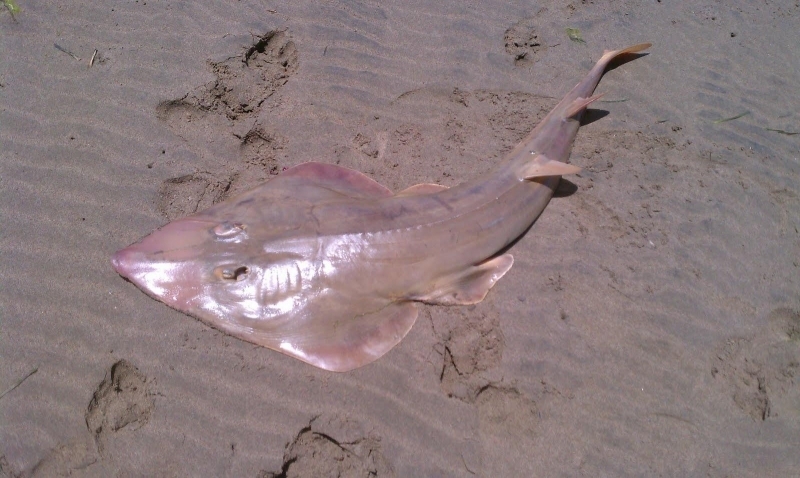 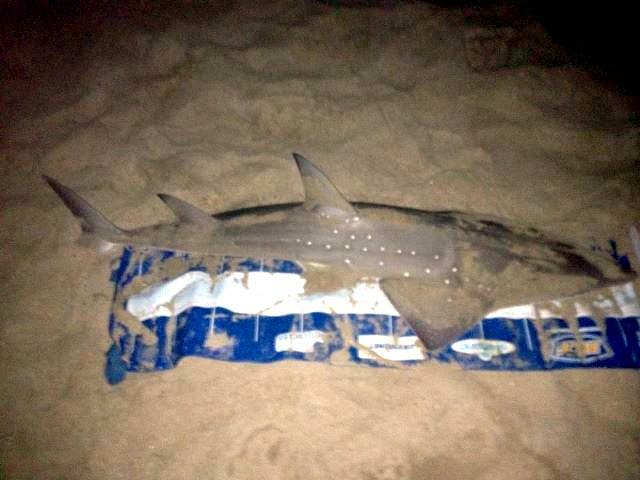 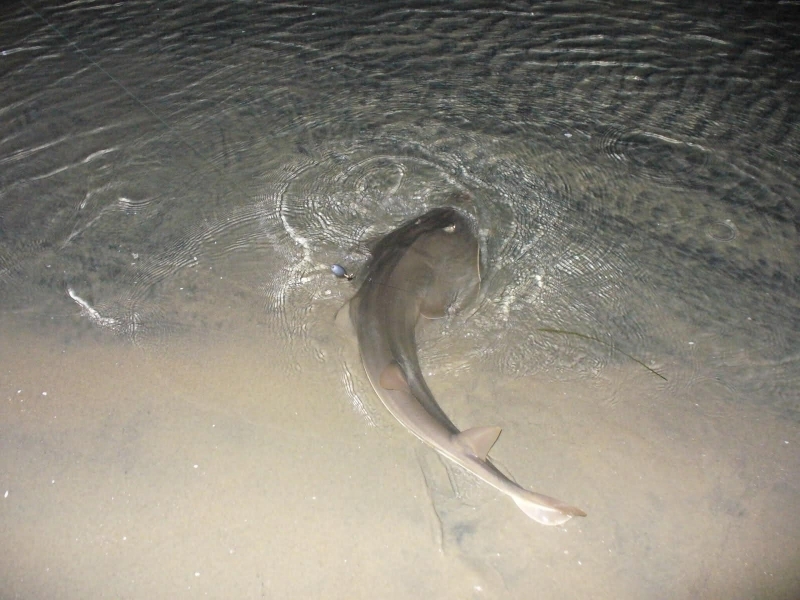 They have also been reported to eat pea crabs, benthic shrimp and razor clams.